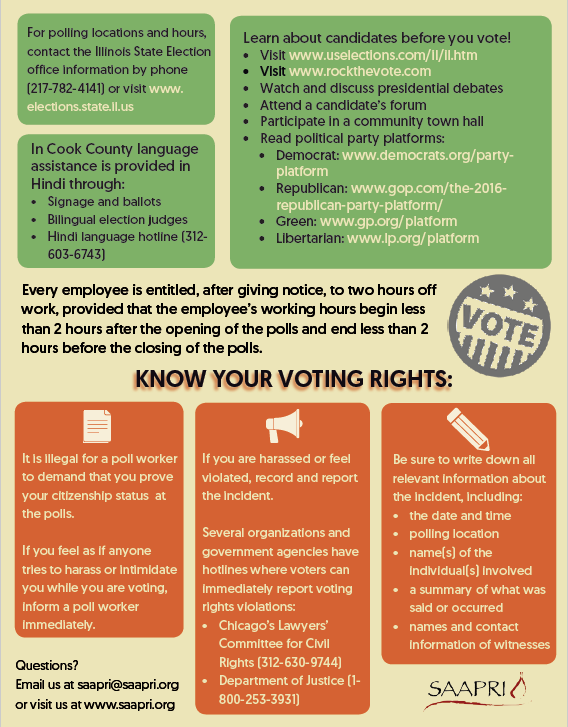 SAAPRI has been involved in nonpartisan Get out the Vote work in advance of the 2016 elections. 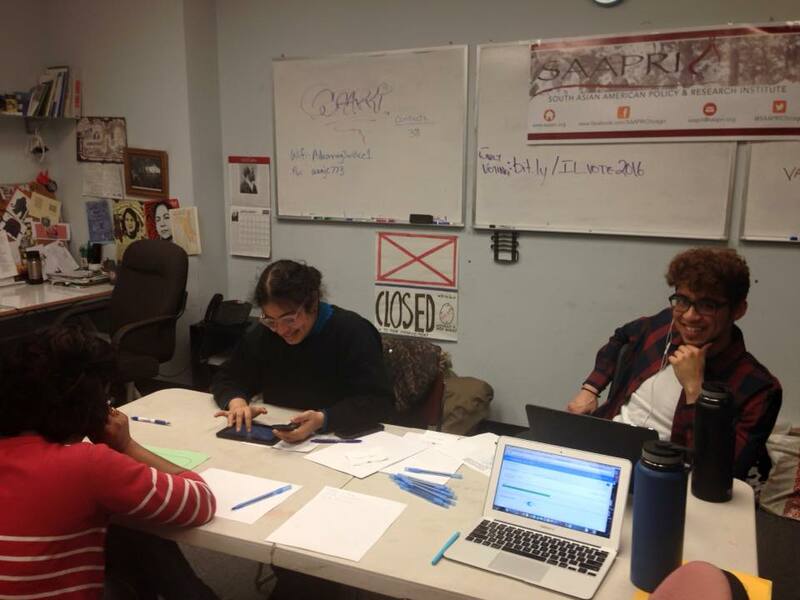 15 SAAPRI volunteers staffed 35 phone banking shifts over 3 weeks targeting a list of 7,656 infrequent South Asian voters. Over 2,500 inactive South Asians went on to vote in the primary elections. 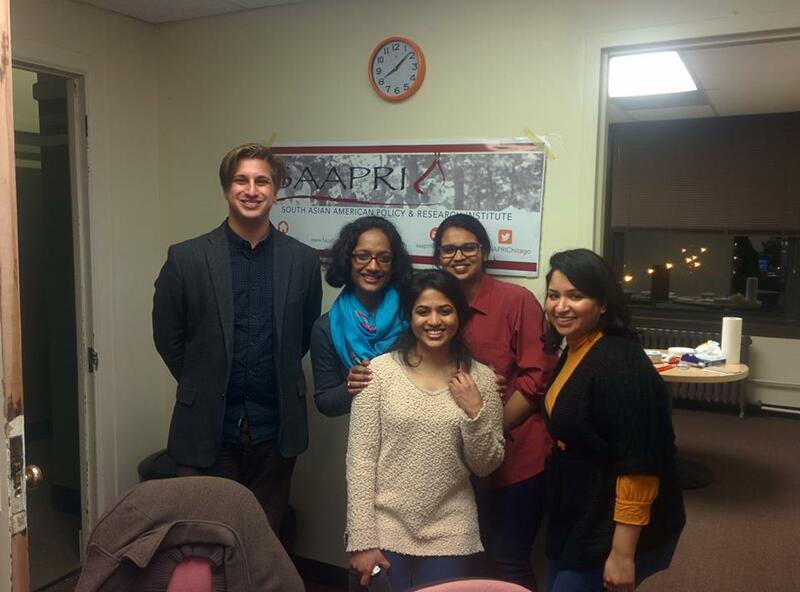 SAAPRI recruited South Asian bilingual election judges and helped implement bilingual election judge training. 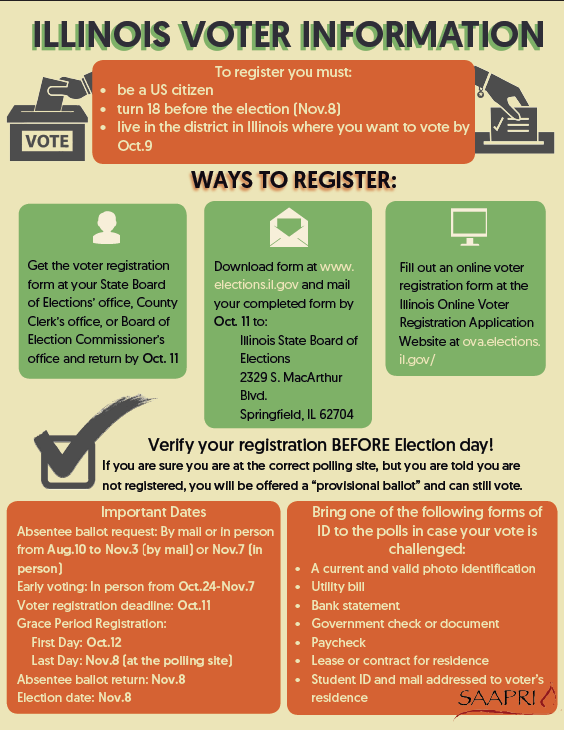 Partnering with other community organizations, SAAPRI led 6 voter education forums in the Chicagoland area. The goal of the forums was to increase voting rates among South Asians in Illinois. Speakers discussed with attendees the importance of registering to vote and casting a ballot and tried to hit home the point that every vote counts. 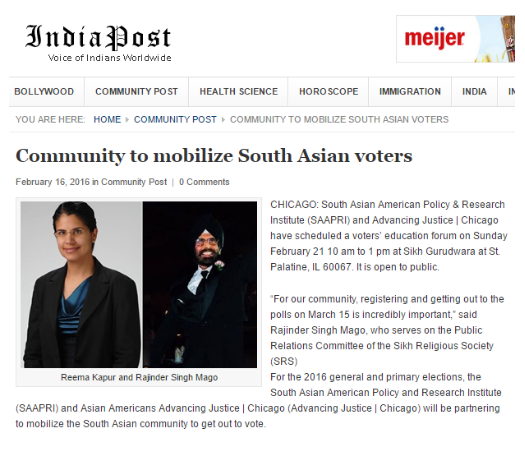 Due to the work of community organizations including SAAPRI, the March 15, 2016 Illinois primary elections saw a record turnout of South Asian American voters. Subscribe to our email list here for SAAPRI updates, monthly newsletters, and more!